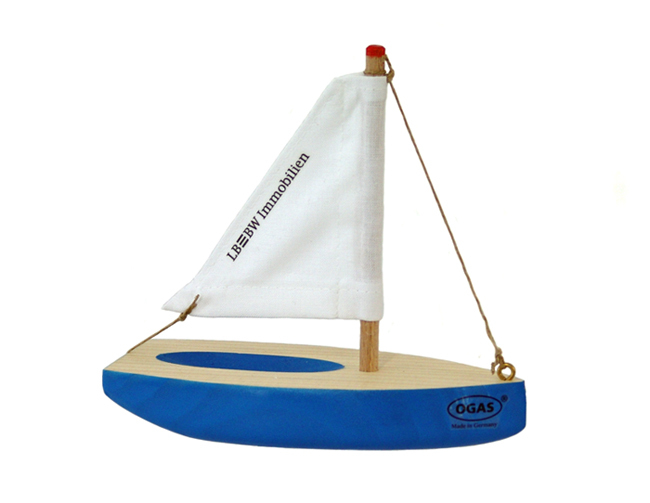 Wooden toy ships in any desired colour with your company logo and/or advertising slogan. 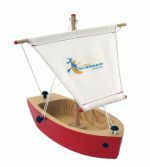 Development and production of toy ships and scale models according to your own ideas and specifications. 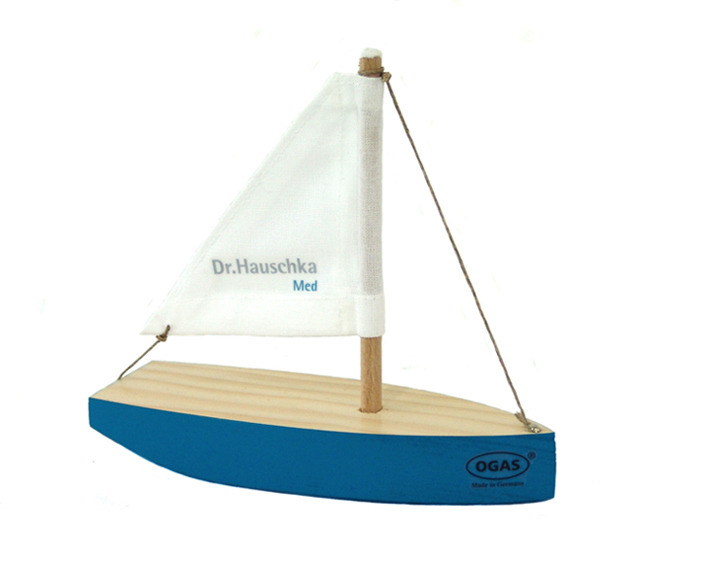 Development and production of any other wooden promotional articles. In the following you find some products. The sailing yacht was developed and produced for a sales campaign of the DEKA Investmentfonds. 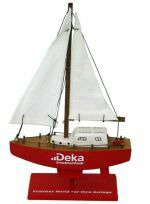 The "Gellenkogge",which was found in front of the island Hiddensee, was the contributuion of the German state Mecklenburg- Vorpommern to the EXPO 2000 in Hannover. The model was developed and produced on behalf of the federal state government as a gift to the EXPO 2000. Later on the "Gellenkogge" was ordered by the department of commerce for the delegations with the tourism logo of the German state. Furthermore the "Gellenkogge" has a base made of cliff. The sailing ships (art.-nr. : 2150, 2191) as well as the Indian Canoe (art.-nr. 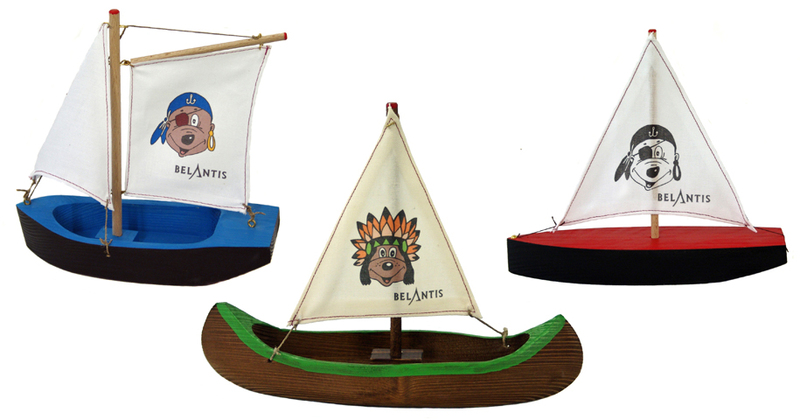 2029) were changed with respect to the colour, the sails were printed with logos and they are produced for the leisure park BELANTIS. Dr. Hauschka of the Wala Heilmittel GmbH. 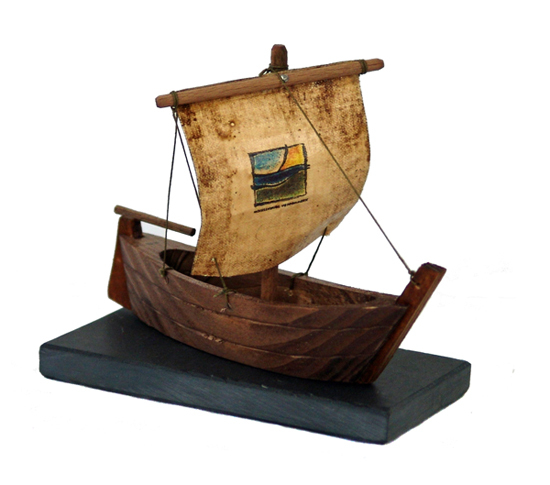 Another example is the sailing ship Art. -Nr. : 2180 it is produced for the ski-region Hochsöll (Austria) with their label "Hexenwasser".